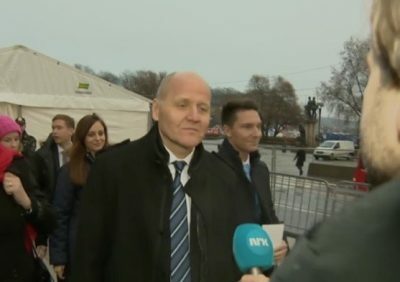 As yet another management crisis spreads within Oslo-based Telenor, several of its top officials had to put on brave faces during this weekend’s Nobel Peace Prize festivities. They were among invited guests, but remained caught in conflict themselves as a new board meeting loomed on Monday. Norwegian media was full of the conflict now raging between the leader of Telenor’s board, Gunn Wærsted, and Telenor’s chief executive officer, Sigve Brekke. It in turn has evolved into a conflict between Wærsted and other board members who don’t share her view that Brekke should resign in the wake of “irregularities” uncovered at Telenor’s Asian operations, which Brekke headed before being named as the company’s new CEO last year. Newspaper Aftenposten, meanwhile, reported on Saturday that the “irregularities” occurred at Telenor’s operations in Thailand and Bangladesh while Brekke was still in charge of Asian operations. The nature of them was unclear and Wærsted initially backed Brekke’s role, but Telenor did feel compelled to disclose last spring that problems had occurred at its Dtac subsidiary in Thailand. All this allegedly took place as part of a “clean-up” in both Bangladesh and Thailand, while Telenor also faces serious losses in India. Aftenposten reported that it had been told Wærsted believed the responsibility for the trouble that’s emerged since last spring rested with Brekke, and that firing local bosses was insufficient. That’s why she allegedly told Brekke that she thought he should resign. He didn’t want to resign, so Wærsted then reportedly took the matter to the board. That set off another “process,” that tied Brekke to “possible irregularities” and Wærsted was given a mandate to have another “conversation” with Brekke, according to Aftenposten. He continued to refuse to resign voluntarily and the board then called in external legal help to determine the seriousness of Brekke’s ties to the irregularities. The legal probe cleared Brekke, reported Aftenposten: The board concluded he couldn’t be blamed for the trouble, and a majority on the board determined that Brekke could continue as Telenor’s CEO. That put Wærsted in a difficult spot and left her at odds with the board she leads. 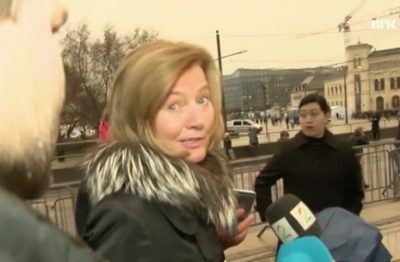 She has refused to comment or elaborate on the matter, but Aftenposten reported that she still felt issues from Brekke’s tenure as Asia chief were serious enough to warrant his departure. DN reported over the weekend, meanwhile, that Wærsted also has been criticized for meddling in operational activity at Telenor and that her “detail managing” has frustrated Telenor’s administration. Others defend Wærsted, who was appointed by Trade Minister Monica Mæland to lead Telenor out of a rash of other trouble at the company after its former chairman was fired at the climax of a corruption scandal. They think it’s natural for Wærsted, who came from the banking industry, to delve into Telenor’s operations as she gets acquainted with the company. Mæland’s office expressed support for both Wærsted and Telenor’s board just before the weekend, apparently leaving them to iron out their differences. “The minister for business and trade has confidence in the sitting board and its leader,” wrote the ministry’s communications department late Friday. For more on the power struggle at Telenor, click here. Telenor evolved from Norway’s old state-run telephone utility and the state still owns 54 percent of Telenor’s shares. Other shareholders don’t seem to share the state’s confidence. “We think it’s serious when internal documents are leaked to the media, and that there’s a major discussion going on around the board and company management in the media,” Lars Erik Moen, a senior portfolio manager and analyst for Danske Capital Norge, told DN on Saturday. He and other uneasy investors were calling on Telenor’s own corporate assembly, which monitors the company’s adminstration and nominates board members, to step in. Håvard Gulbrandsen, managing director of KLP Kapitalforvaltning, said the information coming out about the company was “unfortunate” for Telenor, which hasn’t reported anything itself. As of Sunday night, Telenor’s own corporate website only featured a press release about its Global Impact Report, ignoring its management crisis entirely.